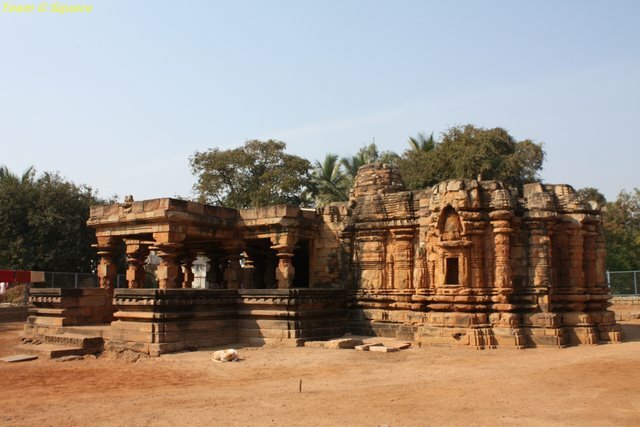 'Amargol' is a busy village located off the Hubli-Dharwad Highway. It is home to a very beautiful Chalukyan temple, dedicated to Goddess Banashankari and Lord Shankar. It is said to have been built somewhere during 12th Century. The temple looks very rustic and elegant from outside. The maintenance and restoration work is being actively conducted by the ASI. The four pillars of the Kalyana Mantapa are unique and carry carvings of Gods and Goddesses. They are an excellent piece of art work, and prove to be the most important feature of this temple. The Temple is a Dwikuta (two celled), on a raised platform. Though most the portions of its external walls are either melted or defaced, the remains are a proof of the degree of grandeur the external walls carry. What an awesome temple! And how I wish I could visit there! Your photos are always the next best thing to being there though and I am so happy that you post them! Hope your week is going well! Enjoy a great weekend! Easy to get there? Might be driving through in August. Such splendid architecture, grandeur & beauty. Thanks for sharing. The exterior of this temple looks wonderful to me; I can only imagine how magnificent it was when first built. The interior carvings and decorations are marvelous. Thanks for sharing this with us. Fantastic! I never tire of seeing the amazing carvings. 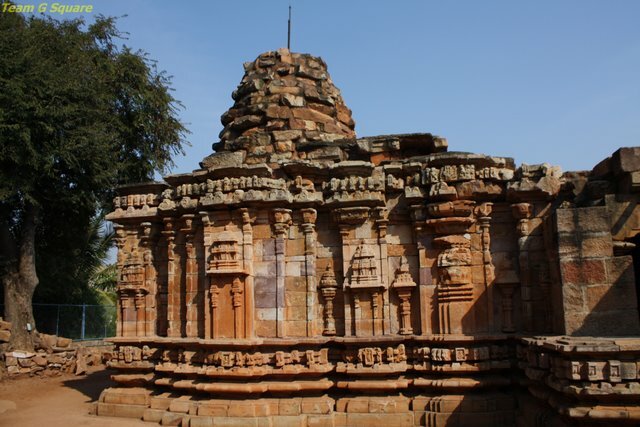 A great example of ancient Indian architecture.Thanks for beautiful pictures. Absolutely awesome! Looking forward to visit at some time! You know? This temple is just 2KM from my home! We used to take our dog to a vet passing this temple. Beautiful photographs. Beautiful carvings on those pillars. It does bear the Chalukyan stamp. Beautiful. I was unaware of this marvel. Shall make it one day. 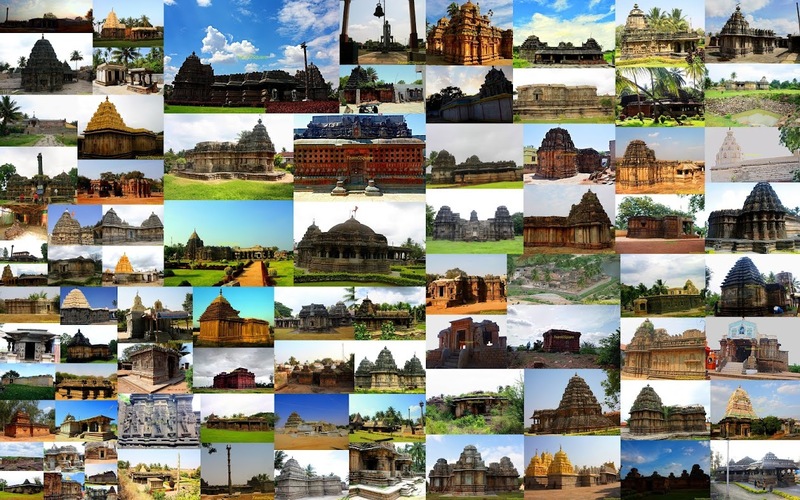 The temple reminds me of Tambdi Surla..Nice captures...and long time since I visited your blog..
Love the intricate detailing and architecture besides its rustic feel. Excellent coverage of the temple as always. I am enchanted, delighted with your blog. Fantastic photos of unique landmarks. Its been a long time since you posted Dhiraj! Hope everything is fine at your end! What gorgeous and historical this temple is! Thank you for the close up photos. The carvings are amazingly skillful! AWESOME ! Only regret I had seen this earlier so that i could have included it my my plans during my trip to those parts sometime ago. I distinctly remember to have visited this place and worshipped at BANA SHANKARI temple during 1985 1986 . The architectural beauty of this temple is indeed awesome. No nice to see the pictures once again and re live the memories of the place. This is really old and The Banashankari is a form of the Goddess Parvati. This form of the Goddess is very popular in Karnataka. How exquisitely sublime. Thank you for sharing these beautiful photos. Hubli is so Beautiful, i love that place. Hubli Hotels also give the best stay and also they provide the delicious food. Nice information about Banashankari Temple.Thanks for sharing. Naveen Hotels in Hubli offers best stay in Hubli. you can enjoy the stay next to nature with quite environment. Yes, i agree with you this Naveen hotel is best place to stay.